Antarctic Huts - Frozen Time Capsules of the Heroic Age. 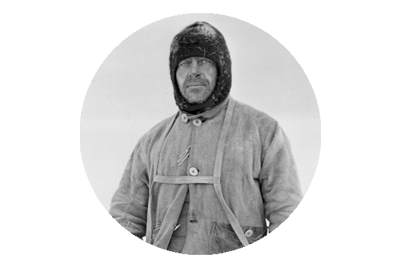 ← Shackleton’s Captain – Frank Worsley. Discovery Hut was built by Robert Falcon Scott during the Discovery Expedition of 1901–1904 in 1902 and is located at Hut Point on Ross Island by McMurdo Sound, Antarctica. Visitors to Antarctica, arriving at either the US Base at McMurdo or New Zealand’s Scott Base are likely to encounter Discovery Hut as both are located on Hut Point. Discovery Hut is just 300m from McMurdo Base. The hut has been designated a Historic Site or Monument (HSM 18), following a proposal by New Zealand and the United Kingdom to the Antarctic Treaty Consultative Meeting. Some confusion arises because Discovery Hut can correctly be referred to as Scott’s Hut, in that his expedition built it, and it was his base ‘ashore’ during the 1901–1904 expedition. But the title ‘Scott’s Hut’ correctly belongs to the building erected in 1911 at Cape Evans. Wikipedia. 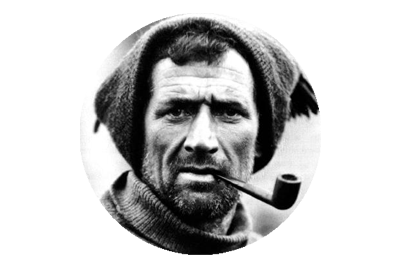 It was 3.30 AM, on Monday the 19th of February, 1912, when Tom Crean stumbled through the door of the Discovery Hut, at Hut Point, and fell to his knees, gasping for breath. No doubt the two occupants of the hut, Edward Atkinson and Dimitri Gerov, were extremely startled by his entrance, as visitors seldom drop by remote huts on Ross Island, Antarctia. 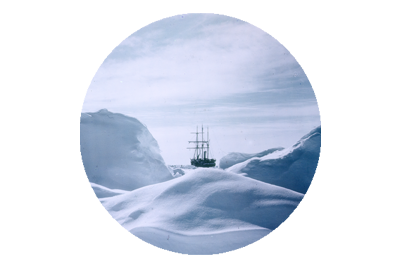 Initially the exhausted and starving Crean was almost delirious, but Atkinson managed to get some brandy into him, and once lucid, he conveyed to them the plight of Edward Evans, who lay dying in a tent, 35 miles southwards, on the Ross Ice Shelf. Tom Crean had left Evans with Bill Lashly around 10 AM, the previous day and decided to strike out alone to seek help, as any effort for the entire party to complete the journey would have taken days, with fatal consequences for Evans. Shackleton’s Hut – Cape Royds. Click and drag to navigate. Full Screen option on top left of image ( Recommended ) Escape to exit Full Screen Mode. This was Captain Robert Falcon Scott’s base at Cape Evans, which he last departed on 1st of November 1911, in an effort to be the first man to stand at the South Pole. 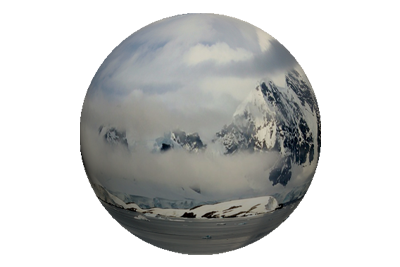 Scott and his team did reach the pole, only to find that they had been beaten to the accolade by the Norwegian explorer Roald Amundsen, who had arrived there a little over a month before them. “The worst has happened”, Scott would write in his diary, but unfortunately the worst was still to come for the deflated Scott and his team, as all five would perish on the return journey. Now over a century later Google Street View has created an explorable 3D panorama of the hut, which is situated at Cape Evans on Ross Island. While it is safe to assume the hut is not exactly as it was when abandoned in 1917, having been rediscovered in 1956, it’s state of preservation is remarkable, and for those of us who will never venture to Antarctica, it affords us a wonderful opportunity to almost walk within the walls, that hold the spirits, dreams and artefacts of so many brave men. Click and drag to navigate. Full Screen option on top right of image ( Recommended ) Escape to exit Full Screen Mode. “Mawson’s Huts” are the collection of buildings located at Cape Denison, Commonwealth Bay, in the far eastern sector of the Australian Antarctic Territory, some 3000 km south of Hobart. The buildings were erected and occupied by the Australasian Antarctic Expedition (AAE) of 1911-1914, led by geologist and explorer Sir Douglas Mawson. Mawson’s Huts are rare as one of just six surviving sites from the Heroic Era of Antarctic exploration. The Australasian Antarctic Expedition was the only Heroic Era expedition organised, manned and supported primarily by Australians. The huts included a magnetograph hut, used to measure variations in the south magnetic pole; an absolute magnetic hut, which was used as a reference point for studies in the magnetograph hut; and the transit hut, an astronomical observatory. The most important building at the site is the winter living quarters, known as “Mawson’s Hut”. This pyramid-roofed hut was home to the eighteen men of the AAE main base party in 1912, and the seven (including Douglas Mawson) who stayed on for an unplanned second year in 1913. The hut combines two sections – the living quarters and the workshop, prefabricated in Sydney and Melbourne respectively, and shipped to the site for construction in 1912 by the AAE team. – Wikipedia.